Retro Rider Interview: George Mount was one of the first US riders to make the bold move of racing in Europe, the hot bed of cycle sport. 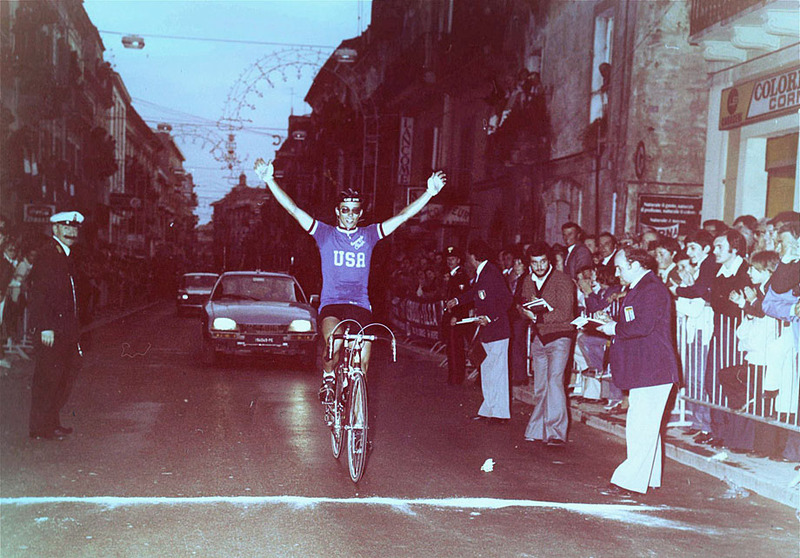 Mount was already a star amongst the amateur ranks before he moved up to the pros and place on a top Italian team. Ed Hood looks at his career and hears all about it. US riders 'up there' in the standings is nothing new these days; many of the world's great races have fallen to riders from the New World. It wasn’t always thus, however. 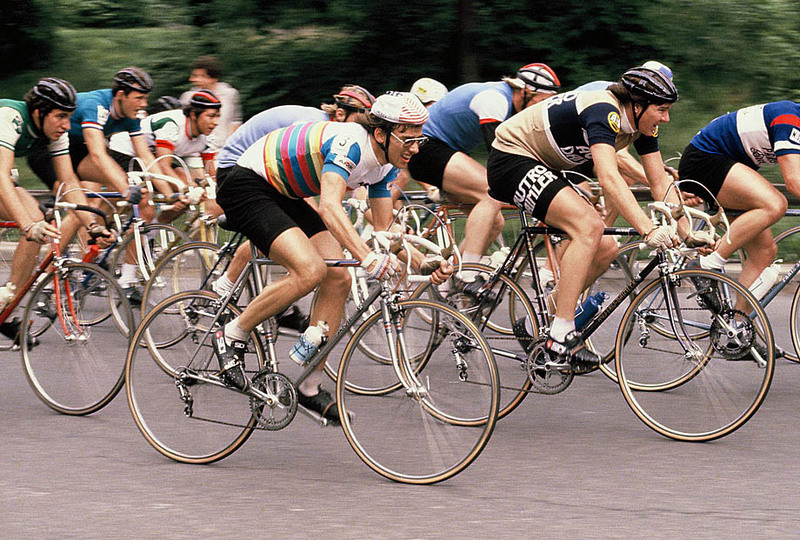 Let’s go back to a time before the internet, Apple, Twitter, mobile phones – and Greg Lemond. Along with Californian Mike Neel the man who opened the door for US riders performing in Europe was a certain George Mount, a prolific winner in the US. 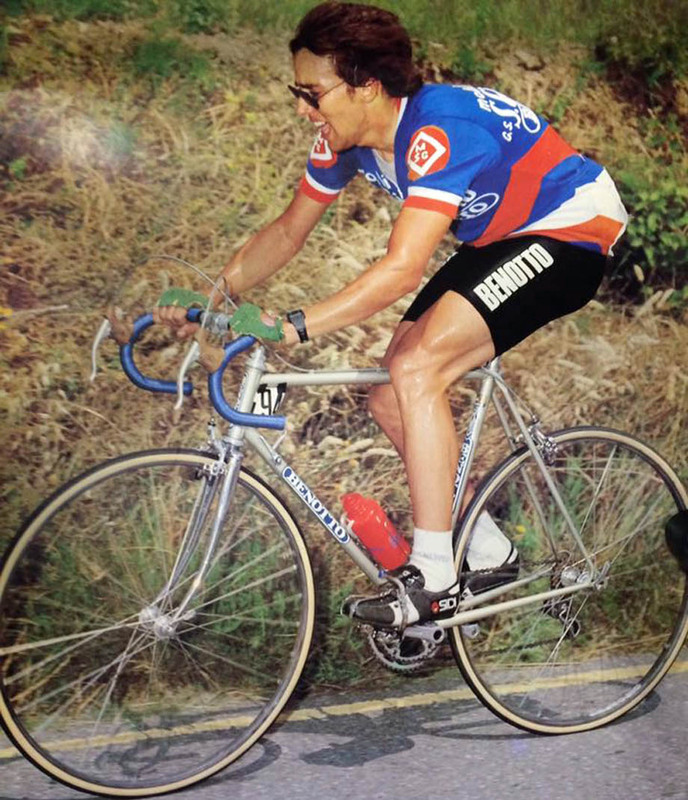 In 1976 he placed sixth in the Olympics and in 1978 he won the Red Zinger and Coors Classic races in the States, placed fourth in the Milk Race in the UK and won the Palio de Recioto in Italy. He took a stage of the French Circuit de la Sarthe in 1979 and won the Coppa 29 Martiri di Figline de Prato in Italy the same year. 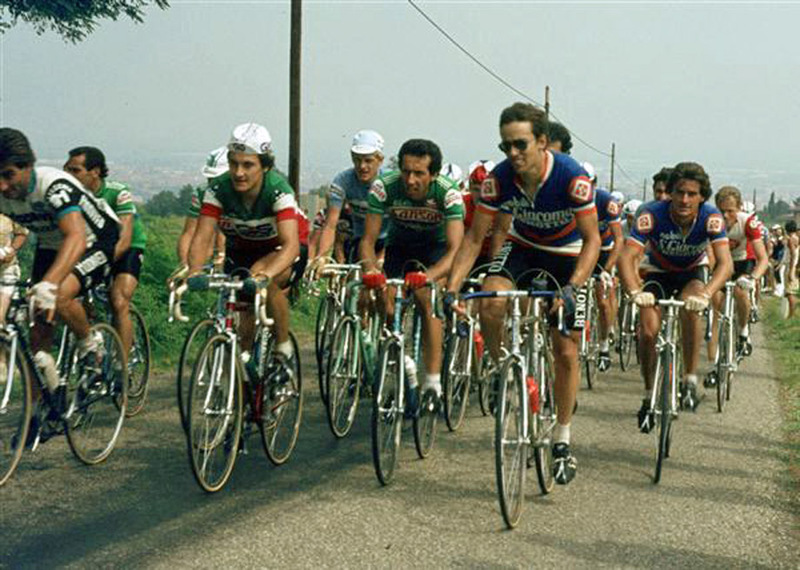 He turned pro for San Giacomo in 1980 after the US announced their boycott of the Moscow Olympics and rode as a cash man for three seasons. Suddenly it wasn’t a dream for US riders – Neel and Mount were actually doing it. We caught up with Mr. Mount a whiles back – he’s not bland! 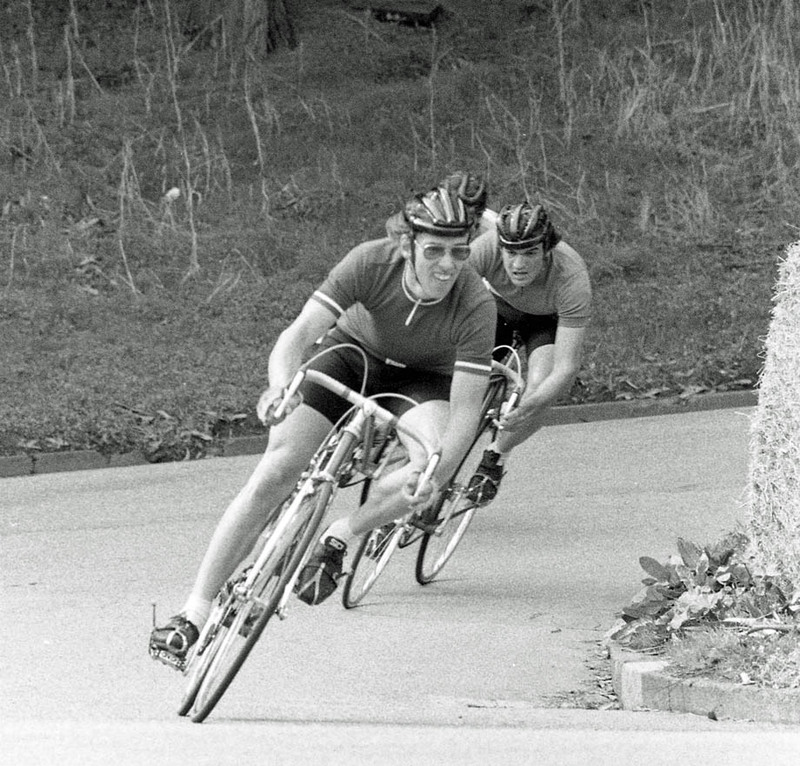 PEZ: How did you get into cycling, George – it was a minority sport in the US in the early 70’s, wasn’t it? 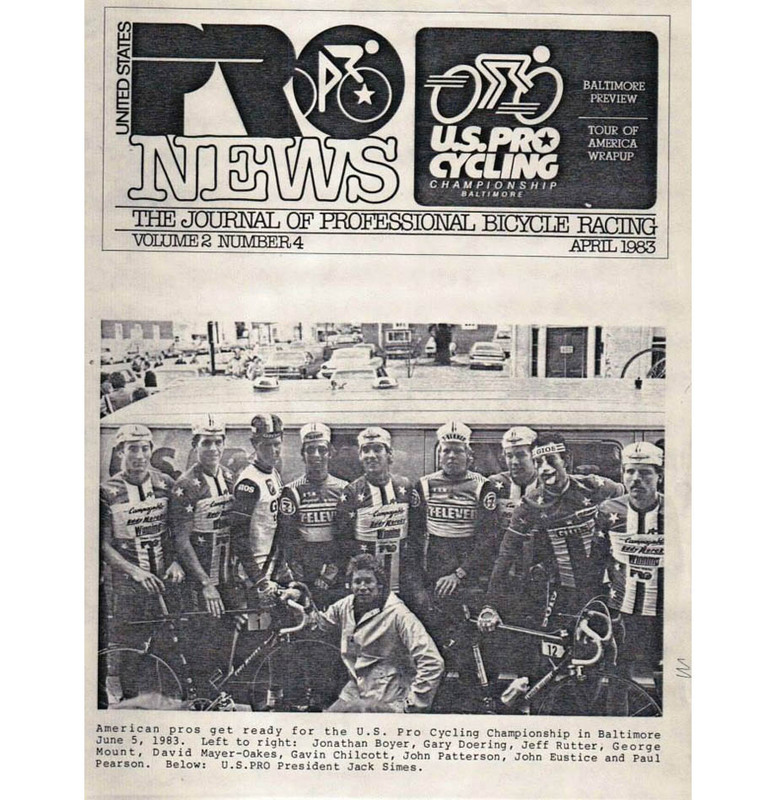 George Mount: No, as now, there were almost no minorities bicycle racing in the US at the time. It was pretty much the white trustafarian sport it is today. 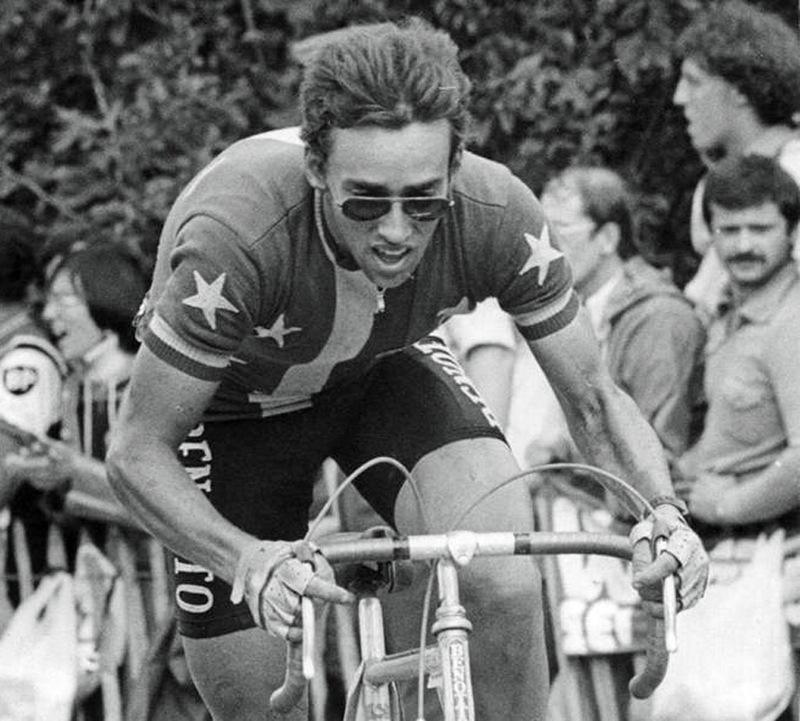 PEZ: Sixth in the Olympics in ’76 – a break through ride, tell us about that, please. There’s a lot more to it than just sixth place after a long drought. 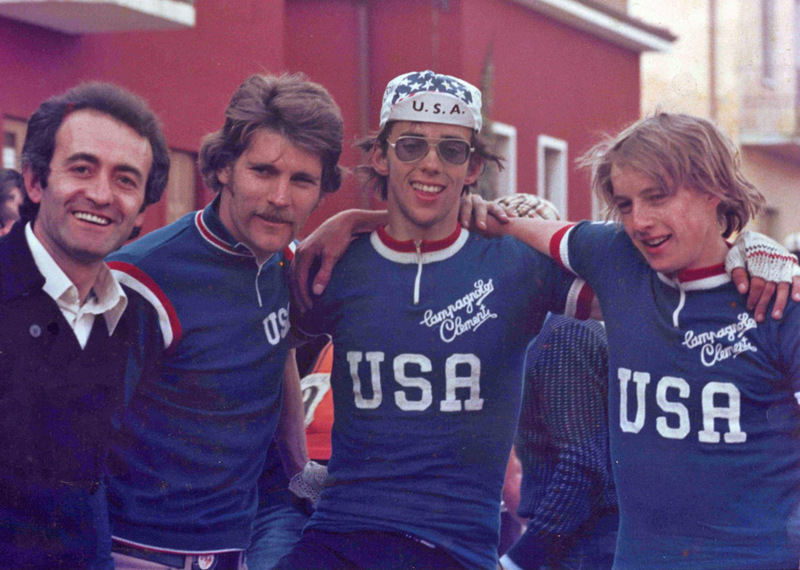 It was an uphill battle to even make the team, even after destroying the old guard of racers from the USA cycling scene and forcing retirement consideration on many stalwart American cyclists of the era. Thankfully they got a new coach who recognized maybe we should try something different than the old formula and he had some leeway to actually select a few of the riders. Still, most of the riders saw making the team as the only important thing and their training slacked off as soon as the team was selected. Mike Neel was the only other good selection that year. More talent was left behind than went to Montreal. 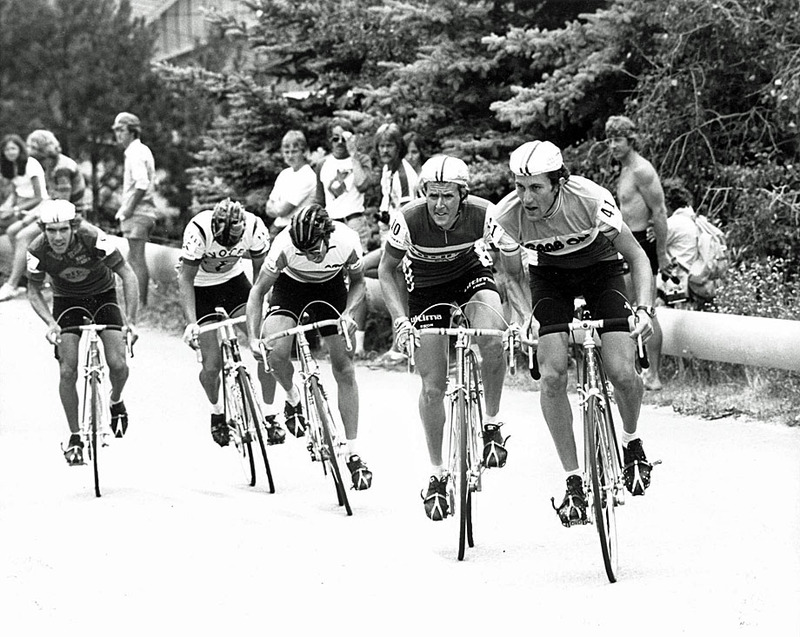 PEZ: You won in the Pan Ams in ’79 – that’s a hard race to win against the South American combine, isn’t it? I actually won in the Team Time Trial. I was added to the team shortly before the event as one of the other riders became ill. There are some good stories about coaching incompetence there as well. I was too marked in the road race to make much progress and under the coaches guidance the other National team members were as always only interested in their race and not in any team tactics. If I could have selected the team it would have been a different race. PEZ: Moscow ’80 – how big a blow when the US pulled out? I was considered a top favorite by the European press, and had a copy of the course months before the US coaches did. I should have turned pro and not focused on that the year before. I got exactly $0.00 from the US government and they pulled us out because the Soviets invaded what country – WTF? I made some calls and got a contract. PEZ: Why go to Italy and not France or Belgium? 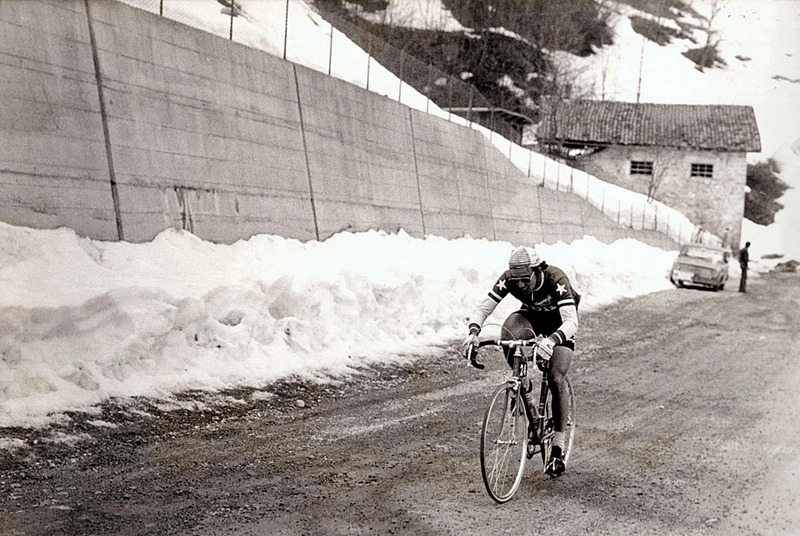 Merckx said “if you want to win bike races, go to France, if you want to learn to race bikes, go to Italy”. I raced enough in Belgium and France to prefer Italy. 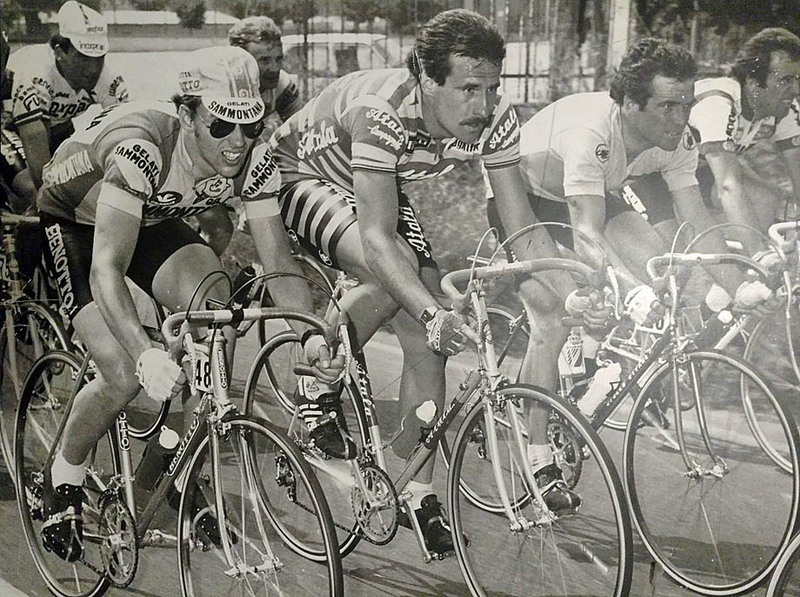 PEZ: You were second in the GP Liberazione in ’79; did that get you any offers from pro teams? PEZ: What do you rate as your best performance as an amateur in Italy? Difficult to say. I won a lot of races including some big ones with all the top teams. Palio del Recioto was a big one; Bassano – Monte Grappa was big. Some stage race in Lazio, too. PEZ: Tell us about your stage win in the ’79 Circuit de la Sarthe, please. I broke with a Russian a ways from the finish. It was all pros, us, and the Russians. As we got to about two K to go the group was rolling up fast, and the Russian wisely gave up. I however, being the silly American said to myself, one K to go equals three laps at Hellyer Velodrome, I can do that really fast, and I did. 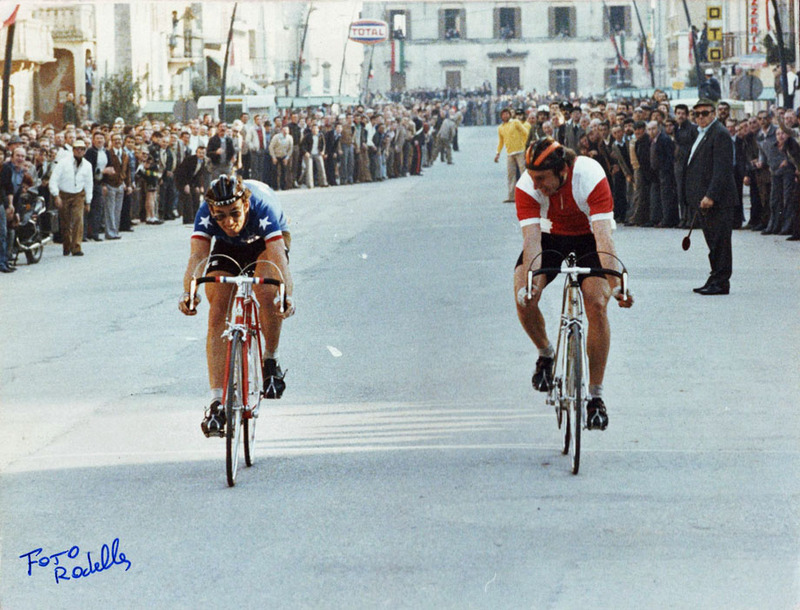 PEZ: How did the ride with San Giacomo come about? PEZ: Top 10 in the Tre Valli Varesine in your first pro season – a quality ride. I had other top 10s, but no one in the US followed my career over there. PEZ: It must have been tough setting up and living in Italy on your own? Yes, but I never had any money so I didn’t need to be coddled. PEZ: What about the language barrier? I learn languages quickly having studied French, German, and Spanish. Also being from California and having made a lot of trips to races south of the border helps with Spanish, which helps with Italian. I landed in a town where no one spoke English, so I watched kiddie shows on TV to help. The biggest problem was the region I was in was known for their very salty language which caused me undue strife when I was in other regions, an issue I’m still cursed with. PEZ: There were some big names on that team, Argentin, Visentini – what were they like with you? Mostly arrogant pukes. Most of the other riders were OK.
PEZ: Did you see much of Freddy Maertens? For one season. He was a very nice guy. We talked a lot since his English is good. PEZ: Did anyone take you under their wing and mentor you? No. I got a lot of help from the locals but not from racers. PEZ: Did the pay cheques come through OK; sometimes the Italian teams were a bit slow with the salaries, weren’t they? Yes, no problems. Our team manager and the sponsors were all good. 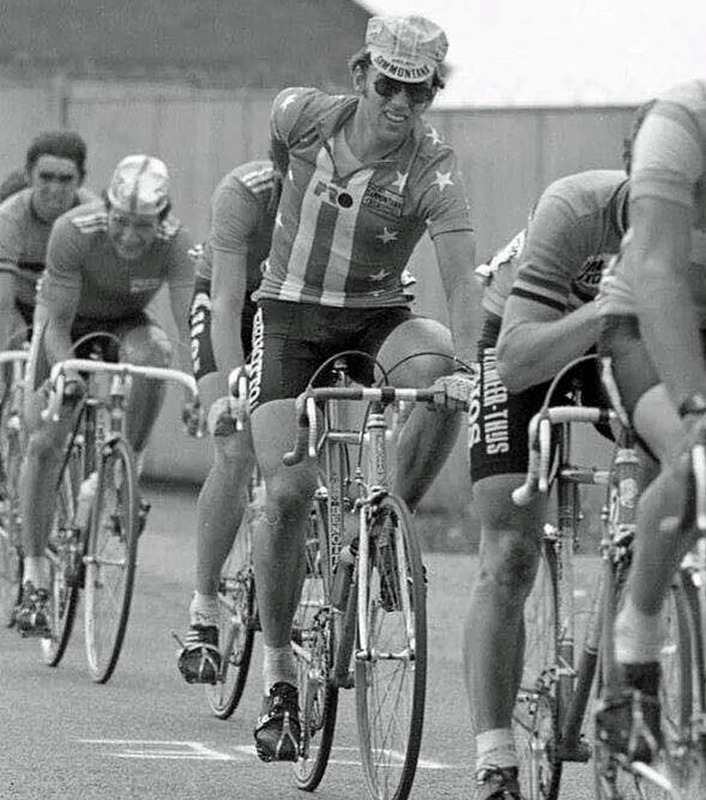 PEZ: San Giacomo morphed into Sammontana, what was the set-up like? 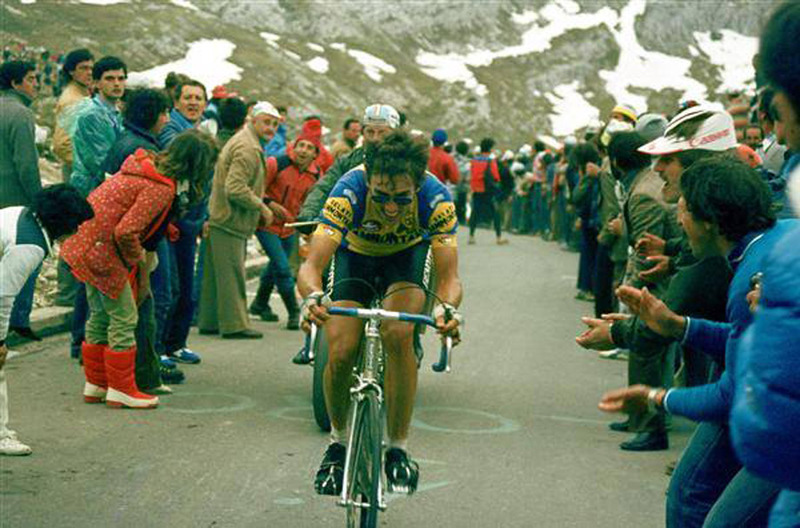 PEZ: You were third best young rider in the ’81 Giro – didn’t the team seek to exploit that potential? The DS was not interested in me and anything other than possibly being useful to his designated stars was not permitted. My bike was close in size to both Visentini and Argentin, so I was a mule. PEZ: You were still young when you called ‘time’ – why? I was not having fun and had accomplished more than I set out to do. People were trying to 'help' me medically but I refused. I did have an offer to captain a smaller team in 1983 but decided I’d had enough. PEZ: What did you do after you stopped racing and what do you do nowadays? Floundered a bit, got away from the bike, and took a job in the technology sector. I am an Engineering Program Manager now and have worked for companies such as Palm, Lucent, Qualcomm, and Sony Ericsson. PEZ: Do you still keep an eye on the sport what are your thoughts on it, now? Yes, I am on the board of the USA Cycling Hall of Fame. I am very disappointed in the last and current generation of riders. It’s difficult to sound good about the current state of the sport. It is shameful how they have destroyed the careers of many decent riders and very nearly ruined the sport and it’s embarrassing these cretins are still making money off the sport. It’s also shameful that their actions have polluted the sport to all levels. If this keeps up this sport will start to implode and don’t even try to convince me it’s not just as bad as it was a few years back. If it’s clean than I’m ready for a comeback because we all know we recover faster and climb better as we get older. What a bunch of BS. Do these guys and the press really think we’re that stupid? It would be easy to fix most of these issues, at least in the US. Fire anyone in USAC who’s been there through the scandals, or maybe just fire them all and start over from scratch. Include all boards and especially fundraising committees. Initiate a surcharge on every race entry that goes directly to USADA to test at all levels. Charge $5 for juniors and $10 for every other category to enter any race. Every time someone writes a check for a race they see they might get tested, and then test them. Please understand, when I started, we saw months-old magazines with Merckx, Van Impe, De Vlaeminck, Gimondi, Maertens, and so on. It was not considered possible for anyone to actually go to Europe and see these guys, let alone even be in a race with them. It was unthinkable. Then as I raced here the corruption and petty thievery that I saw in many of the people running the sport was unbelievable. I started only a few years after people running the sport were elected by ballots of people who existed only on tombstones. Thankfully they were not all like that, but so many were. I can’t even begin to tell you about how bad it got when they hired some schmuck from Eastern Europe with no credentials to be the head coach. It was beyond surreal. Still, being in races with my heroes, sprinting for a mountain prime with a guy like Van Impe in the Giro, being IN the races most people still only dream about, and finally, being able to look my kids in the eyes and say I never cheated, that’s as good as it gets. All photos from George's collection. Thanks to all the photographers, known and unknown, as George says "it was a long time ago!"